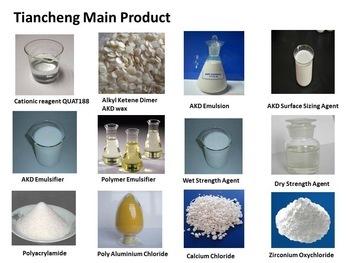 Shandong Tiancheng Chemical Co., Ltd was established in 1999, located in Yanzhou district ,Jining city, Shandong , China ,a high –tech enterprise on business of research, development, produce, trade ,etc. 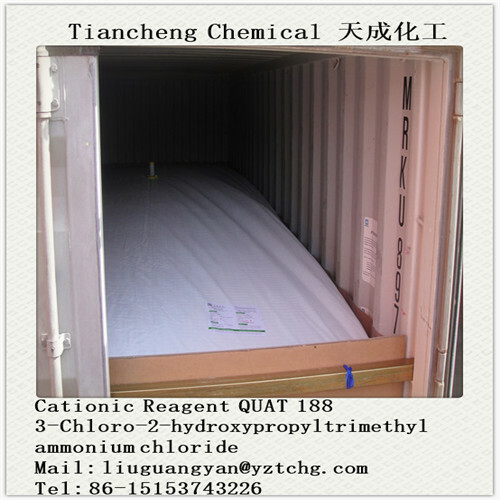 The main products cover paper chemicals, Water Treatment Chemical etc. 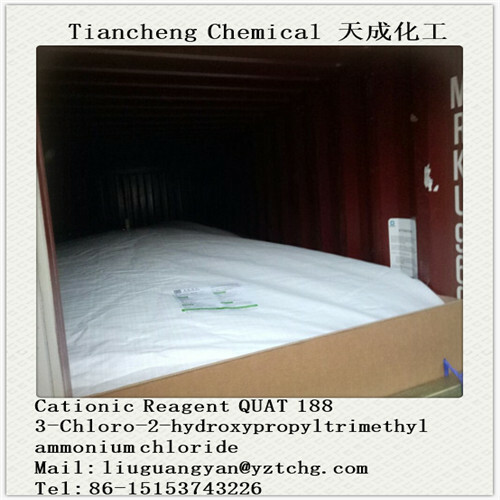 We produce and export Cationic reagent , Alkyl Ketene Dimer, AKD Neutral sizing agent , Surface sizing agent , Wet Strength Agent , Dry Strength Agent , Retention aid , Lubricant , AKD Emulsifier ,Polymer emulsifier , Softening agent , Zirconium Oxychloride, Curing Agent , Polyacrylamide, Calcium Chloride, Aluminum Chlorohydrate. 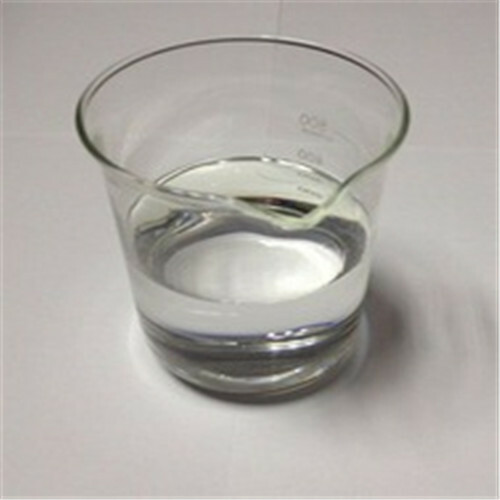 The products are not only sold through the country , but also exported to North America , Europe, Japan, Korea, Southeast Asia and other countries or regions . 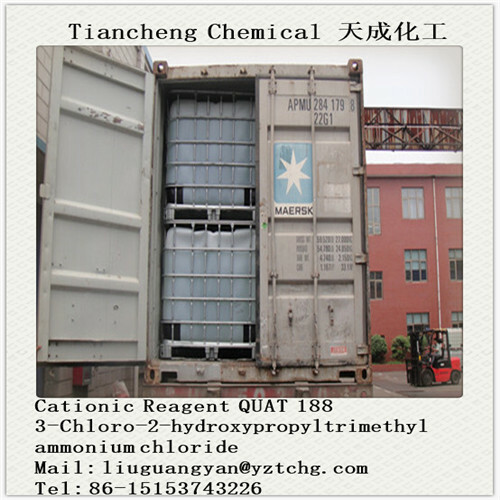 The quantity , quality and technology of paper chemicals leads top in the world. 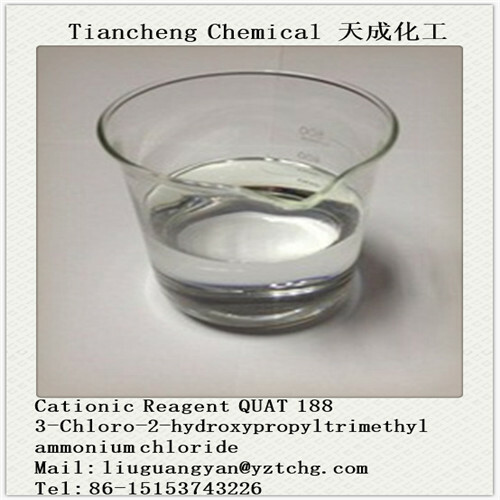 Looking for ideal Cationic Reagent QUAT Manufacturer & supplier ? We have a wide selection at great prices to help you get creative. 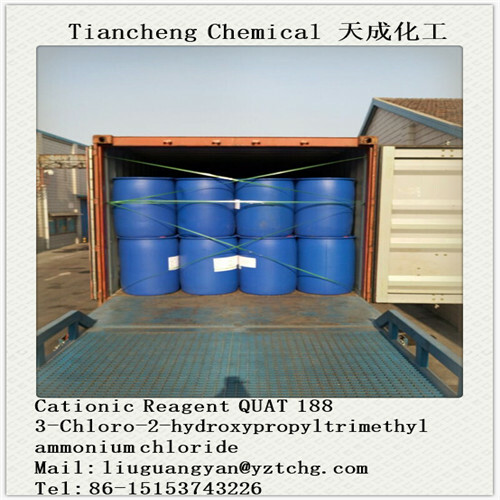 All the 3 CHLORO-2-HYDROXYPROPYLTRIMETHYL AMMONIUM CHLORIDE are quality guaranteed. 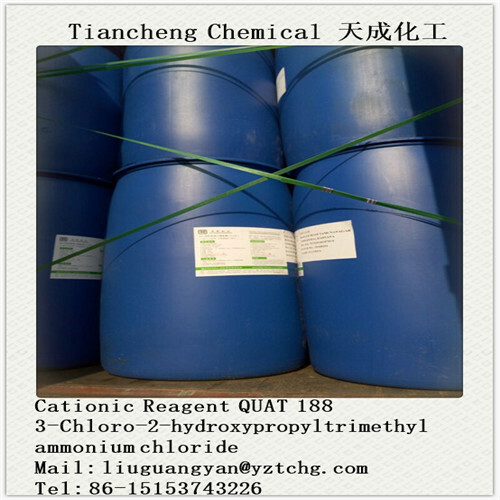 We are China Origin Factory of Cationic Reagent QUAT188. If you have any question, please feel free to contact us.